The Camellia is a gorgeous winter-blooming flower found in many southern states. Being blessed enough to live near Charleston, SC, there are several plantations nearby with gardens filled with these gorgeous flowers every year. 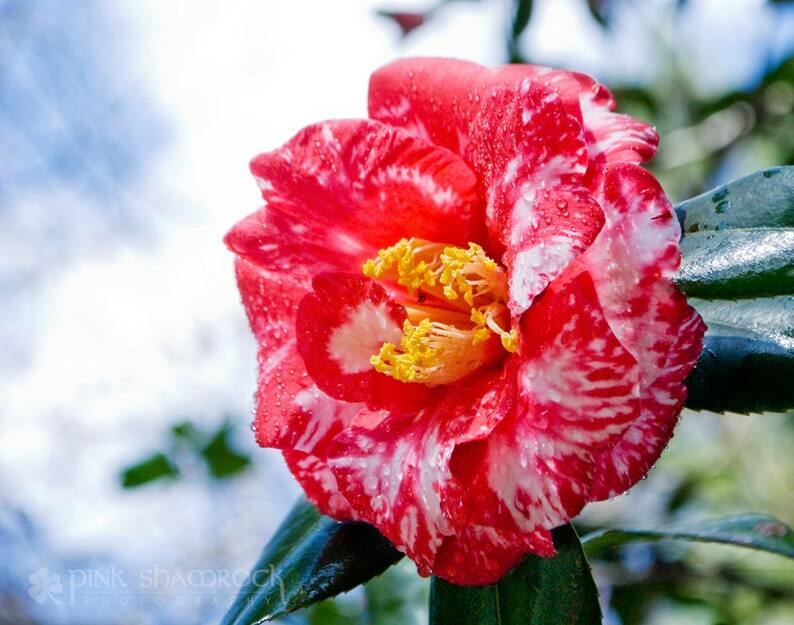 The variegated camellia is my favorite because of its interesting patterns and colors.